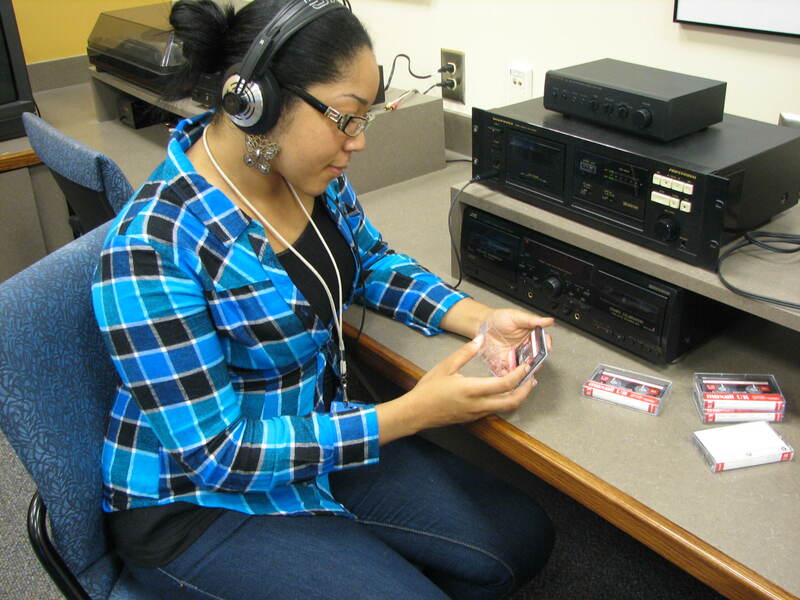 An essential component of any modern special collections and archives department is its collection of oral history interviews. These are created to supplement archives, and to provide eye-witness accounts to the events recorded in the records, papers, photographs, and artifacts they hold. Many of the oral histories were created by GSU Library’s archivists, although sometimes interested parties do the interviews on our behalf. We work with the subject to develop a time line for the interview, do adequate background research on the subject to better ad-lib relevant questions during the interview, and obtain a release for the interview in order to make it available for research. Most oral histories are at least an hour-and-a-half long; some are as long as two-and-a-half hours or have to be broken up over several separate interviews. From women’s rights activists to country music scholars, Georgia State University presidents to labor leaders, Georgia governors to community organizers, there are over 250 oral history interviews recorded in the Special Collections and Archives department. Subjects covered include African-American history, women’s history, politics, music, urban planning and development, business, communications, broadcasting, advertising and marketing, grass roots organizing, nursing, the airline industry, and the history of Atlanta and the South – to name just a few! If you are looking for a unique resource for your projects, regardless of your major or topic, please contact the Special Collections and Archives department to see if we have materials related to your research. Special Collections and Archives is located on the 8th floor of Library South and is open Monday-Friday, 9:00AM-5:00PM. You can contact us at 404.413.2880 or at archives@gsu.edu. This entry was posted in African American Studies, Art & Design, Business, Communication, Criminal Justice, Economics, Education, English, Film & Media, For Faculty, For Graduate Students, For Students, History, Music, Nursing, Political Science, Resources, Sociology, Special Collections & Archives, Uncategorized, Women's, Gender, and Sexuality Studies and tagged oral histories, primary resources. Bookmark the permalink.